Northlight Dental believes that effective dentistry relies on extensive knowledge about the science and philosophy of dental health, and just as importantly, on effective communication. In order to deliver the best dental care, dentists from all specialisations and fields should be able to connect with their patients. Most of your time with the dentist, and most of our time with you are spent communicating. We, as dental care providers, take this time to explain all that the patient needs to know about their condition and how to improve it. To achieve this level of communication, we make the patients feel welcome and at home, even on their first visit. While building their confidence of our judgment and services, it eases whatever fear they have of what may occur. Patient-to-dentist communication is a two-way process that values the dentist’s ideas as much as it does the patient’s. When we deal with our patients, we make sure we get a feedback before going on with the course of treatment. It is important that we know they feel comfortable with any intervention we perform and we have their permission to proceed with the treatment. The advantage is that we can address constructively any doubt and apprehension playing in the patient’s mind, which would not have been voiced out otherwise. We understand that patients have a different pain threshold. We respect this by honestly discussing the pain and discomfort involved in the treatment and how we can minimise it. We also explain the issues that may occur, the period of treatment and the necessary maintenance. The more patients know about the situation at hand, the less frightened they are when anticipating what may take place. If they feel as though they can approach us any time with any concern, a huge part of the nervousness and anxiety will disappear. As we educate them in this manner, there will be no room for second thoughts and unwanted surprises. With this approach, we can assure our patients that our treatments’ results can meet the expectations we have agreed upon. 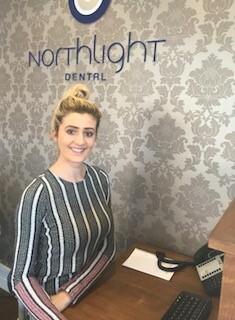 For dental services that prioritise your needs through open communication, contact Northlight Dental today. This entry was posted in Nervous Patients on 7th October, 2015 by Northlight Dental. Dental fear is more common than you think. Whilst it is typically a problem among children, it is a dilemma that alters an adult’s perception of dentistry, as well. It causes unnecessary stress, which may delay treatments. This dread is fuelled by uncertainties that will be brought about by the treatment. Most people are afraid of experiencing pain. It is normal to feel fear and uneasiness, especially if the concept of the procedure is quite foreign to you. Nevertheless, fear is problematic if it becomes excessive, and it repeatedly keeps you from receiving the treatment. Fortunately, there are things you can do to cope with it. Fear is practical. Know that it is one of the built-in mechanisms that have allowed people to survive. Still, do realise that the benefits of the dental procedure outweighs your fear. Do not be hard on yourself if you cannot understand the nature of your fear. Give yourself some time, and practice positive self-talk. Fear makes you restless, so what you need to do is counter the effect with relaxation techniques. Practice proper breathing. This will calm you down and reduce the amount of stress you are enduring. Listen to soothing music while you are in the waiting room. You may keep some funny video clips in your phone that you can watch while waiting for the receptionist to call your name. If you think that the amount of fear residing within you does not dissipate, do not hesitate to speak with us. We are more than willing to listen to your concerns; we will provide you with some helpful tips on how you can manage your anxiety. Dental fear is normal, but there is a way to counter it. This is why here at Northlight Dental, we offer solutions that will help you deal with it. We offer sedation to keep anxiety and panic from affecting you while you are undergoing a procedure. Get in touch with us to learn more about this service. This entry was posted in Nervous Patients on 24th June, 2015 by Northlight Dental. The only thing worse than being nervous about something is when people dismiss those anxieties as unimportant. Nobody wants to feel the apprehension they do in certain situations, but those feelings aren’t going away just because other people tell them to. Our office has seen its fair share of nervous patients, and we talk to every single one of them before they even get on the chair. It is important for every dentist to understand that they are not there to simply ease a patient over their anxiety for this one appointment; they are easing the anxiety for all appointments. It is impractical to think that a nervous patient will not need to go back to the clinic after a single appointment. They will need to see a dentist again, and it is up to the present dentist to ensure that the patient is ready for when that time comes. The one and only way to calm an anxious patient is to convince them that the office is a safe place, and that the dentist is someone they can trust. This is actually one of the more enjoyable parts of being a dentist as it is one of the few times we can talk to their patients without the latter having their mouths open. The topic of conversation could be anything; the longer the patient shares, the more trust builds. The process does not end when the patient begins trusting the dentists though; there is still a reason behind the anxiety and the dentist needs to understand what that is. The mistake most dentists make is that they tell their patients such fears are unfounded because it is another form of dismissal. Dentists should talk about why the patient feels the way they do and offer them the assurance that they are completely safe. If you are looking for a dental office that understands what it feels like to go through dental anxiety, contact us today. We will talk to you and help you get through your appointment at your own pace and at your own comfort level. This entry was posted in Nervous Patients on 10th June, 2015 by Northlight Dental.